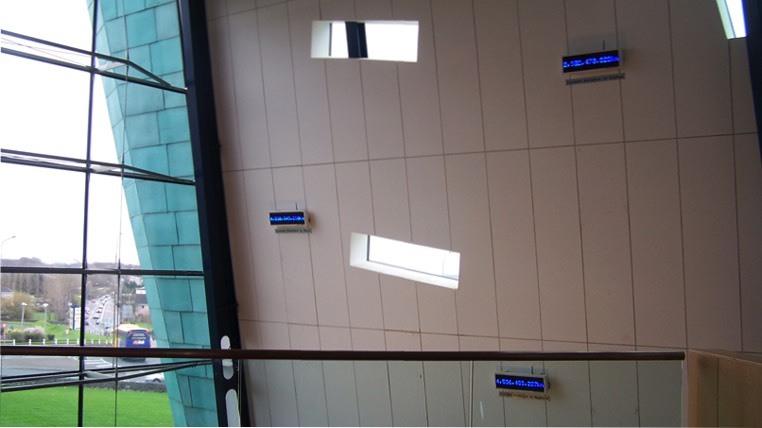 2007 installation; computer, digital counters, aluminium panels. From Here To is a digital installation that refers to the constantly changing distances from Earth to the other planets of our solar system. 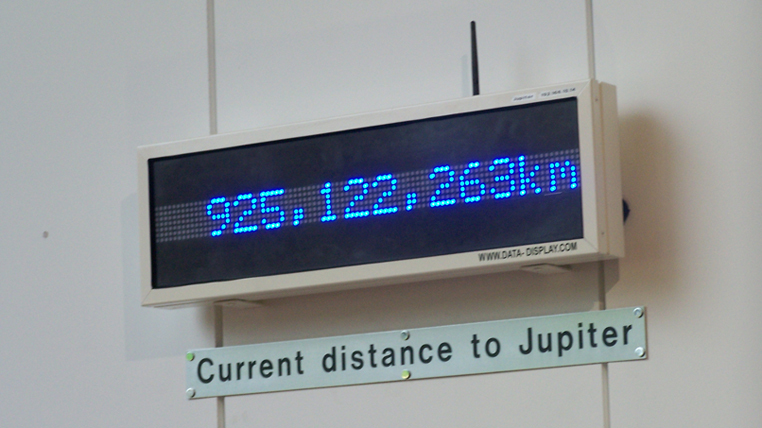 Generated by a computer program on a continual basis, the distances are measured specifically from the Institute in Galway to each planet, on individual counters. 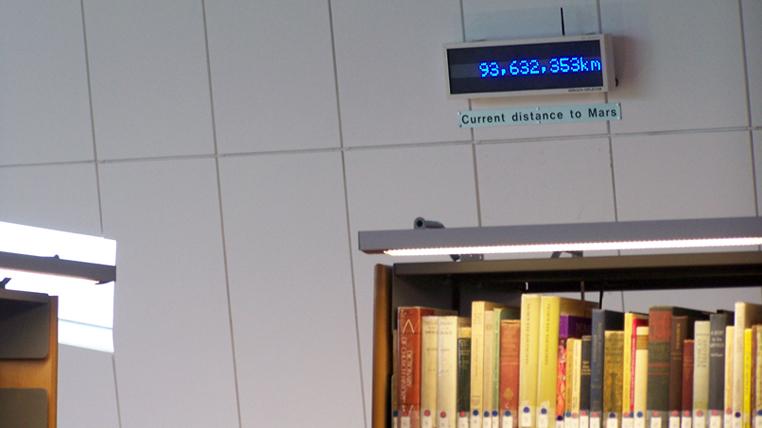 The counters are located on the walls of the Library and are accompanied by a plaque declaring the specific planet's current distance, as it changes continually in real time. All the planets orbit at different speeds depending on their position in relation to the Sun. 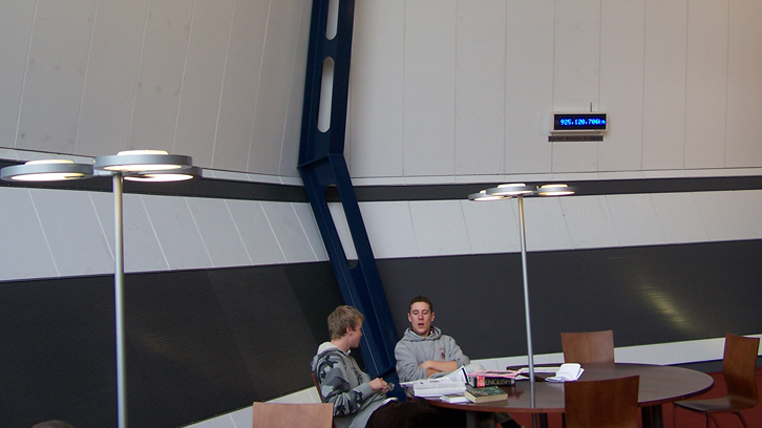 This creates a constantly changing sequence of measurements in terms of their distance to the Library on Earth. 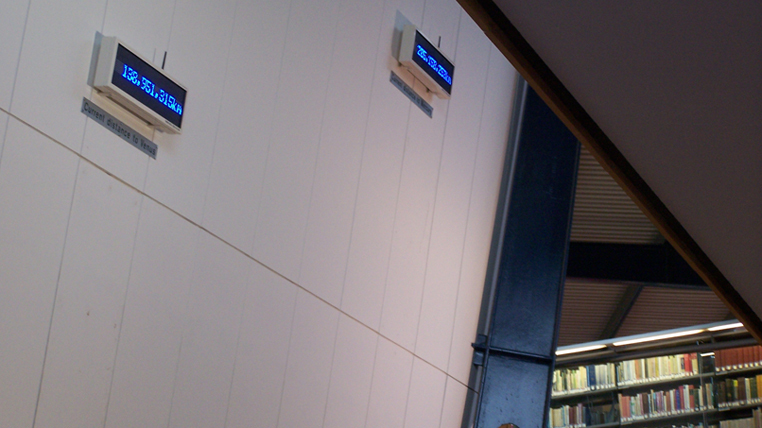 From the momentary now of a book in hand to a wider read of one’s place in the cosmos, a person in the Library can glance up and comprehend the counters twinkling in a continual loop of speed and slowness, of distance and nearness as each planet comes in close and then moves away again.